The X850 V1.3 board is not only powered by USB connection, but also by the 5V power interface after connecting with the GPIO Pin of the raspberry pi. 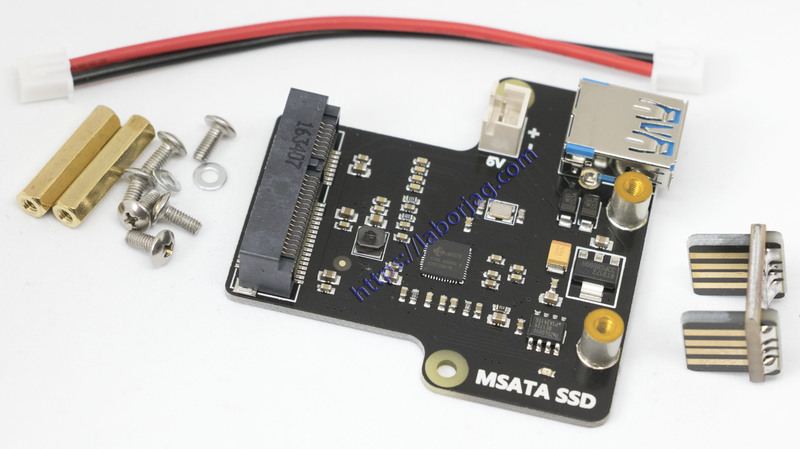 When you use a large capacity mSATA or the mSATA is not very new, the power supply by USB may be not enough, at this time, please use the power cable to connect the GPIO Pin with the 5V power interface on the X850 board. – Power supply: 1/ 5V power cable connection with raspberry pi GPIO; 2/ USB connection with raspberry pi.